Jim James has announced plans for a spring headline tour. 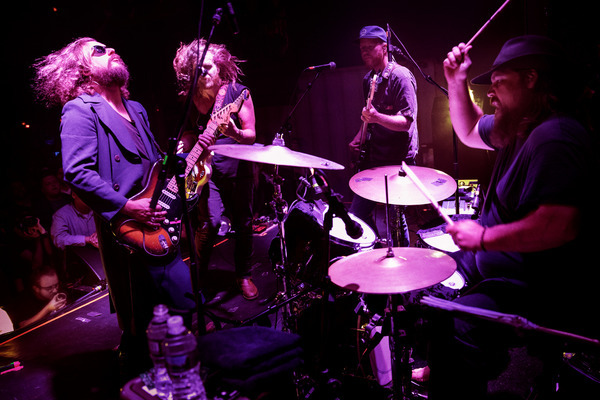 The Jim James Presents Uniform Distortion tour - which sees James backed by his longtime live band - begins May 1 at Charleston, SC’s Charleston Music Hall and then continues through the month. James - who has only just wrapped up a series of intimate European headline shows - will bring his first full band performances of last year’s Uniform Distortion along with selections from his entire catalogue to U.S. festivals at Atlanta, GA’s Shaky Knees Music Festival (May 4), Manchester, TN’s Bonnaroo Music & Arts Festival (June 15), Telluride, CO’s Telluride Bluegrass Festival (June 20-23), and Quincy CA’s High Sierra Music Festival (July 4-7). In partnership with RPM, $1 from every ticket purchased for the Jim James Presents Uniform Distortion tour will benefit My Morning Jacket’s Waterfall Project, whose beneficiary for this tour will be the Young Authors Greenhouse, a nonprofit organization in Louisville, KY that inspires students ages 6-8 from diverse communities to grow their imaginations through writing.